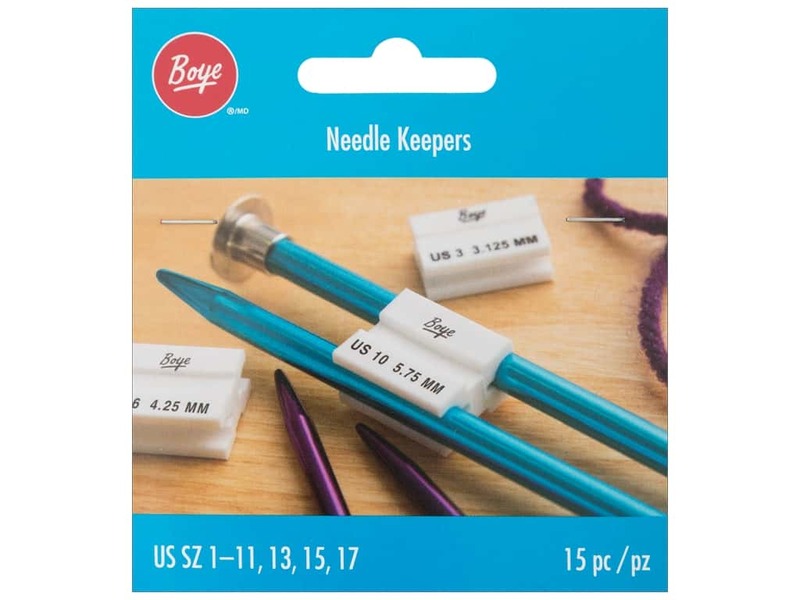 Description: Boye Needle Keepers are White plastic clips that keep your knitting needles together. Sizes are printed on the side. Includes sizes 1-11, 13, 15, and 17. 15 pc.